Commonwealth Avenue is still regarded as a “killer” highway despite the efforts to reduce road crash incidence along this thoroughfare. Many of these crashes involve pedestrians who continue to cross the highway on at-grade or on ground level at many points of the highway despite this being prohibited or discouraged. 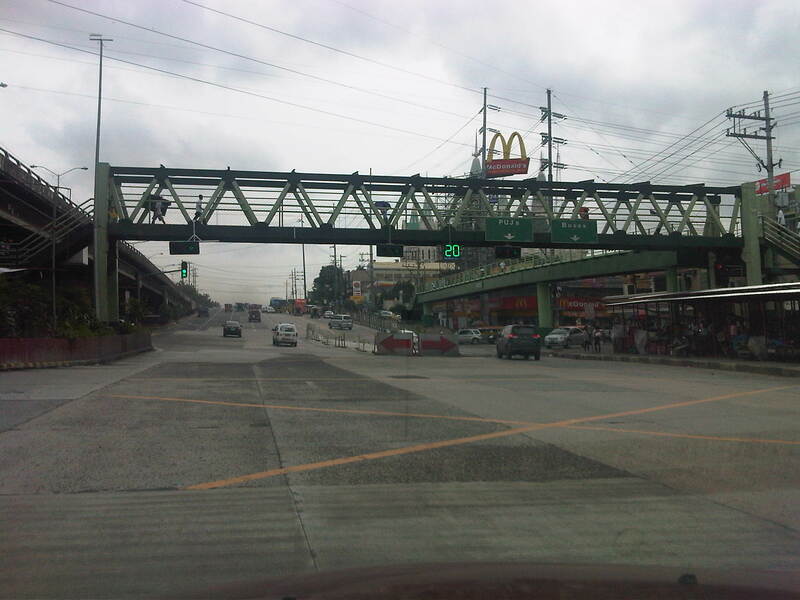 To cross the avenue, pedestrian overpasses have been constructed at strategic locations along the highway including those at Fairview Market, at Ever/Shopwise and at Tandang Sora, at U.P. 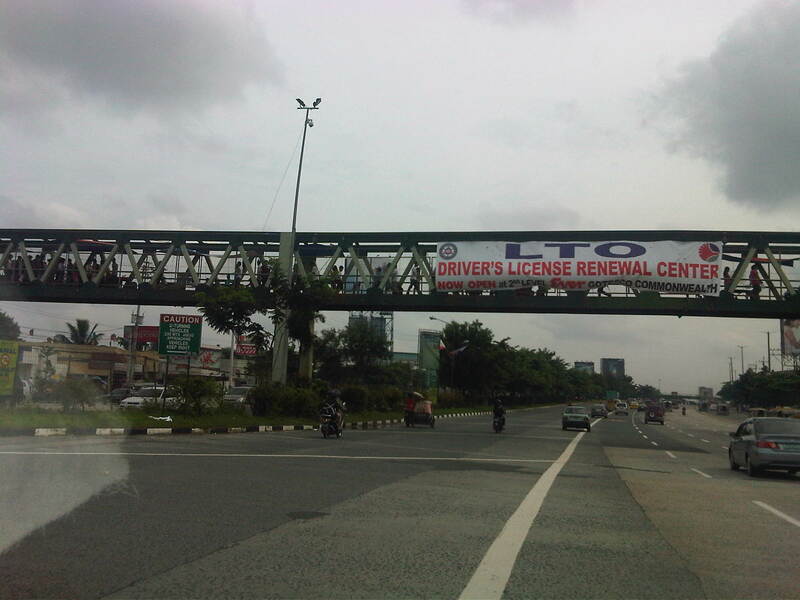 (2 overpasses – one at AIT/CHK and another at Technohub), and at Philcoa. Despite these facilities being constructed and possibly with a few more to be constructed in the future, many people still choose to jaywalk. Among the reasons cited are stairs being too steep and the long distances they have to walk to and from the overpasses. 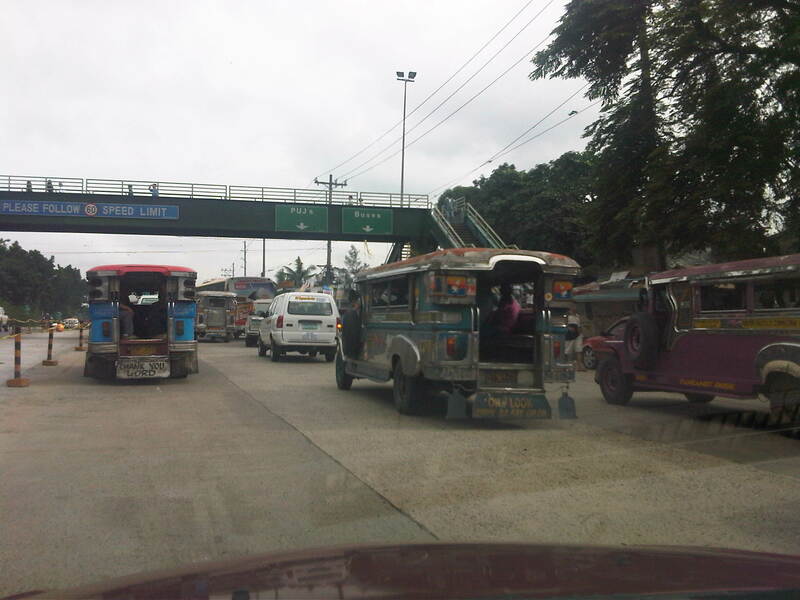 Following are photos taken on a Sunday drive from Novaliches to UP showing the conditions on and around overpasses along Commonwealth Avenue. Noticeable are overpasses across Fairview Market and Ever/Don Antonio where vendors have set up shop and impede the flow of pedestrian traffic. 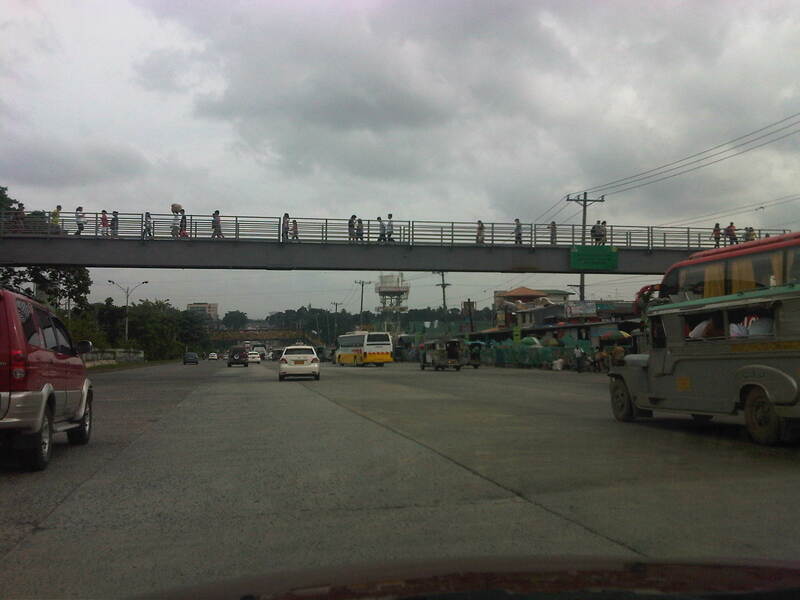 Pedestrian overpass across Commonwealth at Litex and before Fairview Market (section is at Commonwealth southbound) – the overpass is surprisingly free of vendors despite its being well within the influence area of the market. Overpass across Fairview Market (section is across Commonwealth southbound) where vendors have set up to sell various merchandise. Notice the umbrellas to shield vendors from the elements. Note, too, the jeepneys congregating under the overpass and taking up 2, 3 or even 4 lanes of road space and thereby causing congestion along the wide avenue. Overpass after Fairview Market and across densely populated areas that are mostly informal settlements. 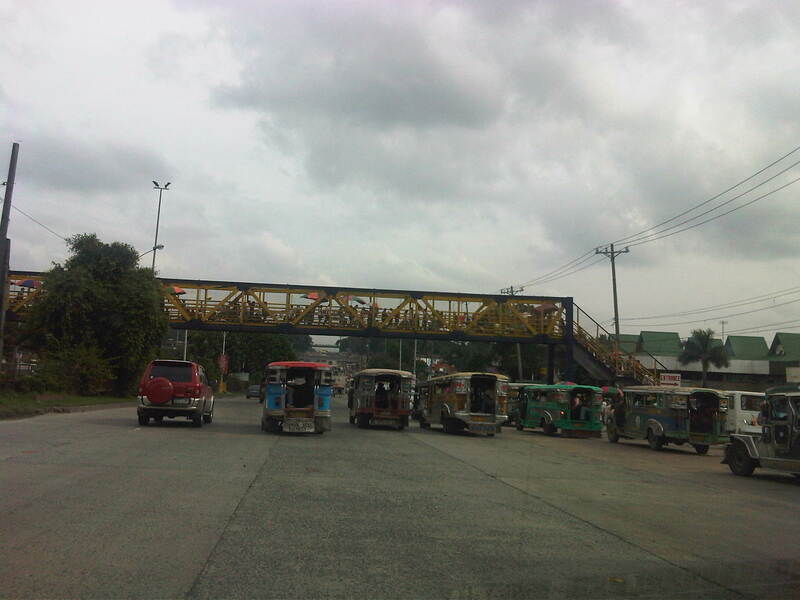 Jeepneys and buses usually congregate under this overpass and another downstream which is across from the Sandiganbayan. The bollards to the left are to segregate a lane with recently laid concrete (re-blocking of certain lanes along Commonwealth). Overpass across Ever Commonwealth where vendors have also set up to sell merchandise. The design evokes those of old steel truss bridges in Manila across the Pasig River like the Quezon and Ayala Bridges. Notice the congestion at the overpass at the left portion of the photo. Overpass across Tandang Sora where the middle portion descends under the T. Sora flyover in an unusual design that calls to mind the adjustments made for pedestrian facilities constructed across EDSA, and above or below the MRT3 alignment. Notice the countdown timer for the signals at this major intersection. 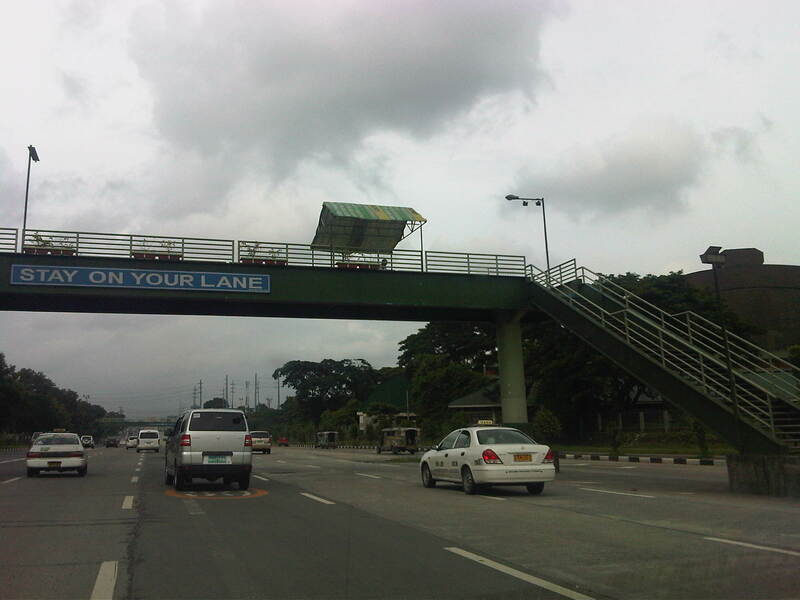 Overpass across AIT and CHK of UP Diliman. The canopy is one of two set up atop the overpass for MMDA personnel taking random speed samples to enforce the 60 kph speed limits along Commonwealth. On most days I travel along Commonwealth, there is usually no one taking measuring speed along the NB direction of the highway. The overpass across the UP Technohub is relatively new but it is free from vendors. In fact, the two overpasses across UP are free from vendors and are regarded as safe and secure because of guards (and even MMDA enforcers) posted at the overpasses to ensure the safety of users of the facilities, especially students and employees of UP and of the Technohub. However, the Philcoa overpass continues to be occupied by vendors despite its roof being removed by the MMDA a few years ago with reasoning that this would deter vendors from setting up atop the overpass. The problem of vendors on the overpasses is an enduring issue and one that is quite easy to solve if authorities are serious about addressing it. In fact, it is so easy for enforcers or police to prevent or even apprehend/accost vendors as frequent as the latter attempt to set up on the overpass. The continued presence of vendors suggest that there is no sustained effort against these vendors. There are those who even suspect (and are perhaps correct in certain cases) that enforcers or police are being paid to turn a blind eye to these vendors. This is a story that is replicated in many parts of Metro Manila as well as in other cities across the country where overpasses become small time malls or shopping streets, thereby defeating the purpose of having these facilities in the first place. The challenge is for local government units to do what is right in such cases if only to ensure that facilities for pedestrians are safe, secure and unimpeded for efficient flow. By d0ctrine in Governance, Infrastructure, Pedestrian, Road Safety, Walking on August 8, 2011 .